Our Wonderland story started five years ago, when Ashley and I asked 13 world-class composers for a rather large favour. It was the 150th anniversary of the publication of Alice’s Adventures in Wonderland, and we asked each composer to take a chapter of the book and write an original piece for it. 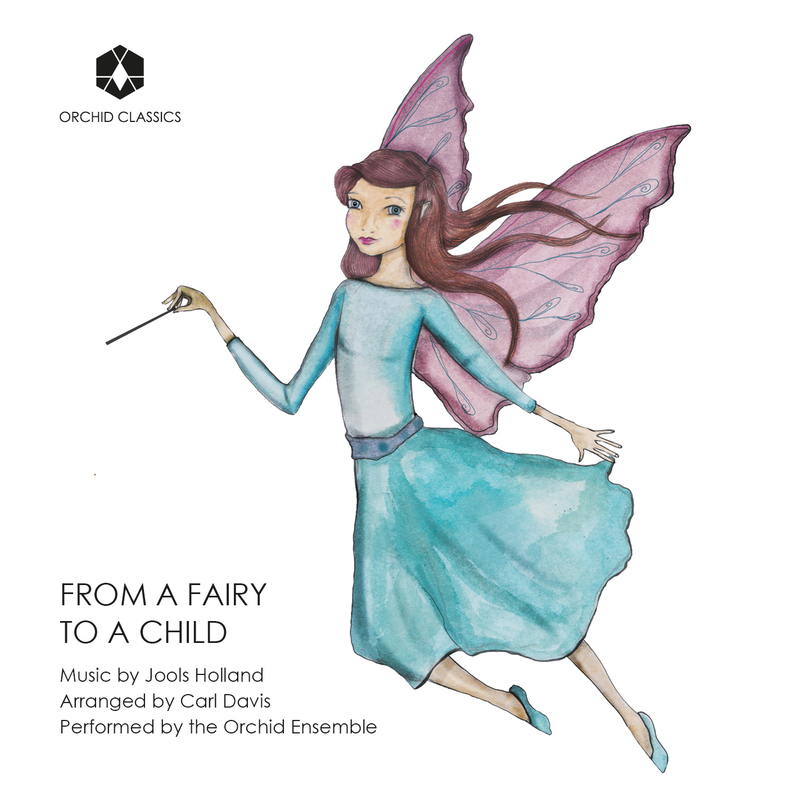 The result was an incredible collection of beautiful, inspiring music, together with a brand new text by Louis de Bernières and 13 original illustrations by Emily Woodard. We released those 13 tracks on the Wonderland album two years ago, and raised enough money for the foundation to make a significant donation to Helen House children’s hospice in Oxford. However, much to our delight we were given a fourteenth piece by one of our favourite composers of all, Jools Holland. 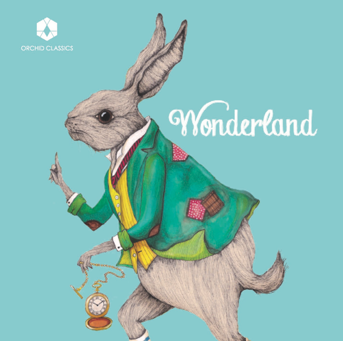 The piece, intended to go with a Lewis Carroll poem called From a Fairy to a Child, was then arranged for string quartet and piano by our dear friend and long-time collaborator Carl Davis, once again so generous with his time for our foundation. With the help of one last round of favours, we had our final track recorded. The Lenny Trusler Children’s Foundation (LTCF) is dedicated to helping provide the relief of serious illness in newborn babies and infants, both in the UK and abroad. The foundation was created by violinists Matthew Trusler and Maya Koch after the death of their baby son from a rare kidney disease in April 2007. Just one month after its official launch in 2008 it was chosen as Charity of the Year by Reef Television. The award included a £10,000 donation towards the LTCF’s first mission, a family room for the neonatal unit of the Whittington Hospital in London. Since then the foundation has collaborated with a range of performers, raising funds through musical projects. In 2010 the LTCF hosted a Gala event in London featuring over twenty artists including comedian Michael McIntyre, actor Tom Conti, the Belcea Quartet and cellist Natalie Clein. In recent years the foundation has been able to buy vital life saving equipment including a new incubator, again for the neonatal unit of the Whittington Hospital, and has begun supporting a children’s hospice, “Helen & Douglas House” in Oxford. Doriane Gable is a violinist with a wide-ranging and varied musical career. From 2006 to 2014, she held the position of solo violin in the Orchestre de l’Opéra National de Paris. Doriane has been invited to participate in numerous chamber music festivals around the world, is a member of the Dissonances Ensemble, and played with the Parisii Quartet from 2013 to 2017. After receiving a Diploma at the Conservatoire National de Musique de Lyon (Master’s degree) Marion Duchesne developed her passion for chamber music with the Varese string quartet. In 2011 she joined the Orchestre de l’Opéra National de Paris where she is currently 3rd viola soloist. Giorgi Kharadze, the laureate of numerous prestigious international competitions, performs concerts at venues all over the world. His upcoming performances include appearances with the Staatskapelle Weimar, the Beethoven Orchestra Bonn, the Orchestra Ensemble Kanazawa, the KBS Symphony Orchestra and many more. He is currently solo cello at the Orchestre de l’Opéra National de Paris. Matthew Trusler has performed as soloist with many of the world’s great orchestras and received huge critical acclaim for his diverse recordings. He founded the record label Orchid Classics, now a significant force working with many of today’s major recording artists, and the Lenny Trusler Children’s Foundation. He also created the production company Mash Productions together with Ashley Wass. Ashley Wass has performed at many of the world’s most renowned concert halls and has appeared as soloist with numerous leading orchestras. He is Artistic Director of the Lincolnshire International Chamber Music Festival, co-founder of Mash Productions, Deputy Head of Keyboard at the Royal Northern College of Music in Manchester, and is an Associate of the Royal Academy of Music. Jools Holland OBE DL is a composer, pianist, bandleader and broadcaster. From playing pubs in the East End docks as a teenage greaser, to leading his rhythm and blues orchestra and selling millions of records this century, it is his passion for music that has made Jools Holland into a doyen of the music scene. Jools was awarded an OBE in 2003 for his services to the British music industry. He is married with four children and lives in a world of his own. Since 1960 Carl Davis has been at the heart of England’s theatre, television and film scene with scores for the National Theatre, the RSC, and television series including The World at War (1973) and the BBC’s Pride and Prejudice (1995). His concert works include Paul McCartney’s Liverpool Oratorio, and along with over 50 silent films his soundtracks include the award winning The French Lieutenants Woman (1981) Scandal (1989), and Ken Russell’s The Rainbow (1989).